We won't make any subjective judgements, but we will comment on the numbers quoted - which appear to be pretty accurate. Now - why do we mention all this? Because, yet again, it is an example of a high-value service business using a reviews site designed for products. 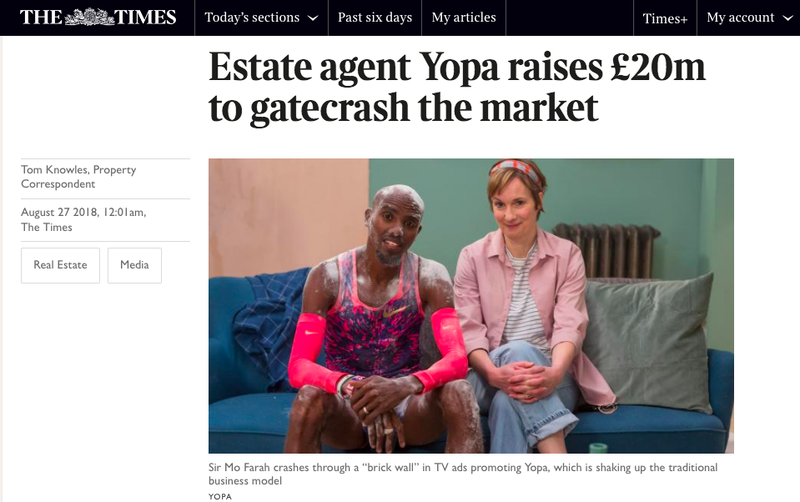 We are fully aware of the mechanisms that some estate agents use to 'manipulate' such reviews systems in their favour, but Yopa, far from indulging in such tactics, would appear to be actively using a system that discriminates against them. "I am considering involving solicitor in this as I feel tricked!" "After we accepted an offer...we were then passed to post sales support who are just a bunch of people who have no idea of what they are doing." "They completely ripped off my elderly mum." ...to realise that there needs to be some way for the business and the customer to communicate before the review is published. 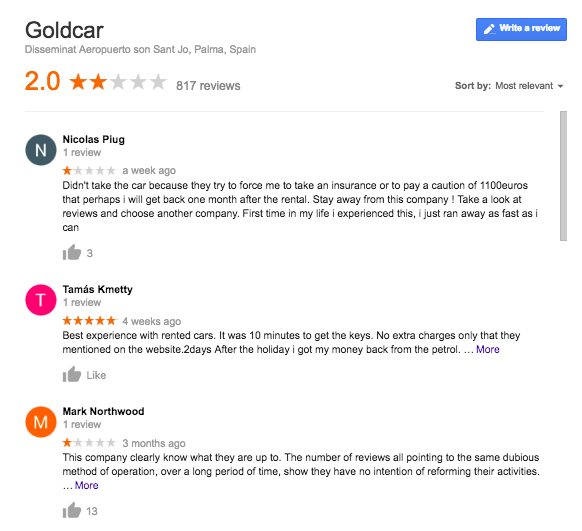 Not to prevent the business from receiving negative reviews - but to ensure that future customers are presented with, as far as possible, accurate and informed opinions of the business. First - and most important of all - all reviews are moderated. This means that any review that has the potential to mislead, contains factual inaccuracies or is otherwise contentious is first put into what we call Resolution™ - where both parties are invited to 'resolve' whatever issues our moderators have identified, pre-publication. In order to maintain compliance with CMA regulations, we ensure that the reviewer always has the option of publicly posting their review during this process, from beginning to end. 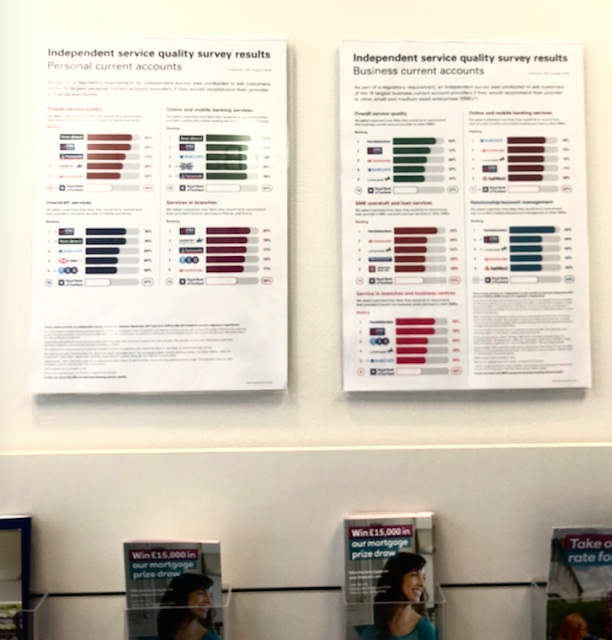 The results: are overwhelmingly positive - for the consumer: they end up posting an accurate review, and are thankful for that; for the business: the reality of their service is presented. Every stakeholder in the process is happy. 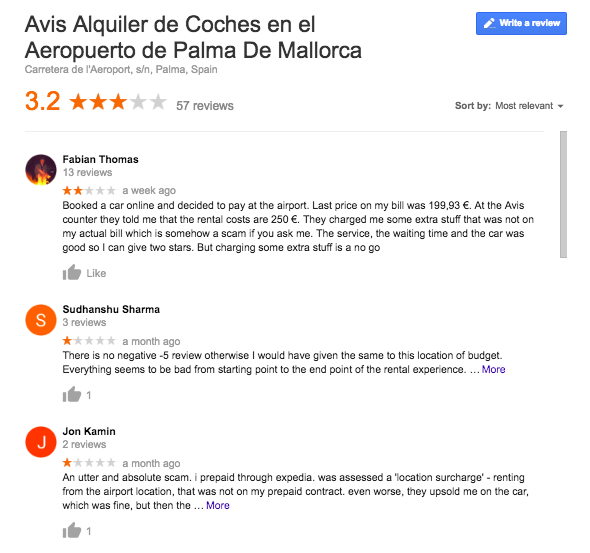 We are only mildly surprised that the CMA chose to commission a survey, when there's one already out there, available to all: Google reviews. How about a survey based on them? ...not perfect, but what bank is? 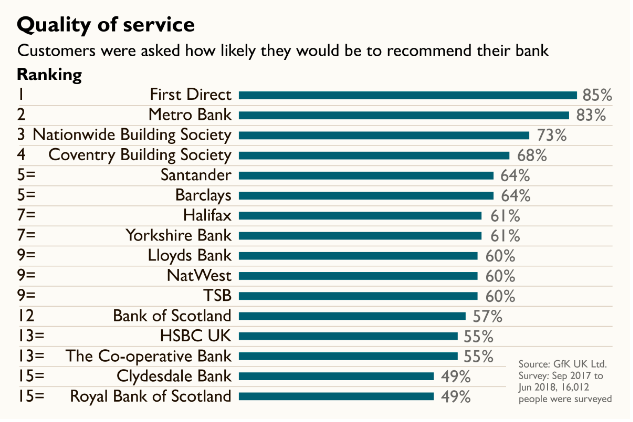 Of course, the results would be far more accurate - and valuable for consumers - if these banks proactively invited their customers to post reviews to Google. 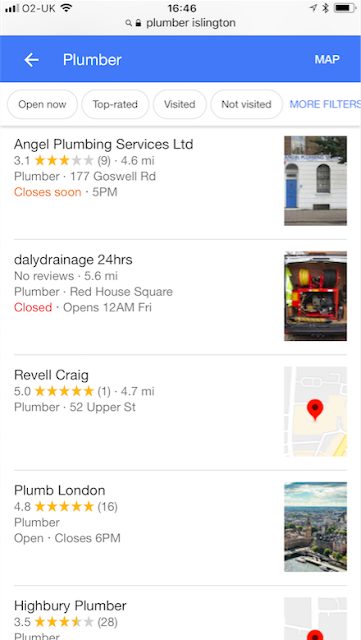 Angel Plumbing would appear to be the RBS of plumbers in Islington. What impression is this creating amongst their potential customers? How about 'Just as bad as if they put their Google score on the side of their van'? It's a funny word, yet another - like forum or post or thread - that the internet has adopted, and changed the original meaning of. But of all the words we use here at HelpHound it is arguably the most important, so what do we mean when we talk or write about 'moderation'? Moderators first appeared in forums back in the 1990s, when it became apparent that without them the forums would become empty deserts, all reasonable people having been driven out by trolls and flamers. Their role was - and is - to ensure that codes of conduct are adhered to. Moderation - how does it apply to reviews? Luckily Tim was helped by HelpHound - and this review is now longer showing on Google. There's more on this story - and how HelpHound were able to help the business when the national press had failed - here. 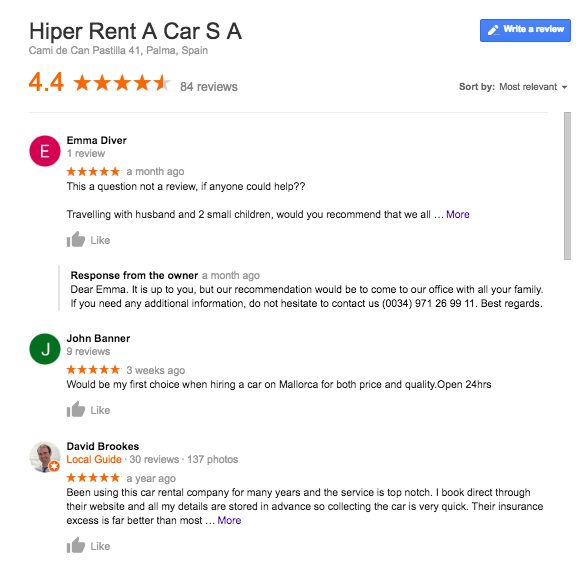 The issues with the three reviews above? The first (Yelp) and third (Google) were both written by reviewers who had patently never used the businesses they were reviewing. The second (Trustpilot) is alleging illegality without providing any proof. All three reviews would have been challenged by a HelpHound moderator. Not because they are negative in score or content (we are just as likely to challenge a positive review if we think the content merits it), but because the review itself contains sufficient information for us to suspect that our T&Cs have been breached. ...and if 2, 3 or 4 applies we will contact both the reviewer and the business before we publish the review. In the case of 5 we simply contact the reviewer and explain that we think their review will be far more powerful if it does not contain expletives. If we have any doubts as to number 1, these are almost always cleared up by asking the reviewer for their point-of-contact at the business and the date of interaction. This means that a HelpHound review is, as far as can be reasonably said, genuine, accurate and, by far the most important, a reliable guide for anyone considering using the business. 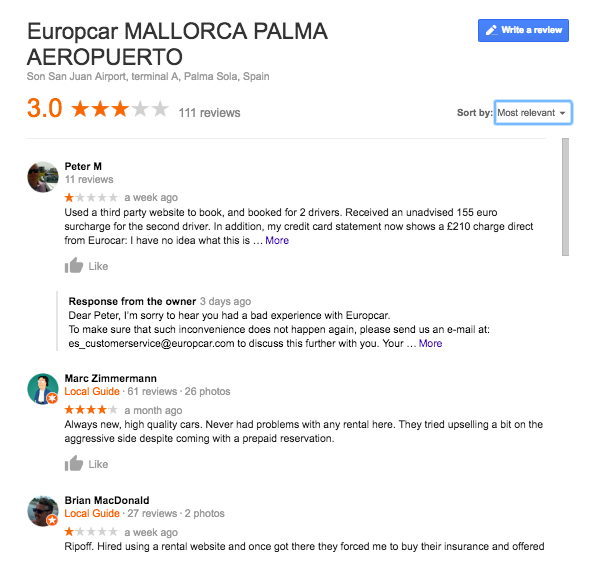 It also means that businesses can confidently engage with online reviews without that perennial concern: that their reputations will be unfairly damaged by inaccurate or potentially misleading reviews. Here's a typical example of a HelpHound client - they only had a small handful of reviews before they joined and HelpHound's moderation - Resolution™ - gave them the confidence to fully engage. We call the method by which we interact with both business and reviewer Resolution™. There's much more about the nuts and bolts of the process here. AirBnB. You've probably used it - if you haven't, 300 million people and rising have (and it's currently valued at more than $30 bn). All for a business founded exactly ten years ago this month. So - what's to learn for other businesses? The main thing for us is that this is a business built on reviews. From the start the guys at AirBnB realised that intelligent use of reviews was going to be important for them. More than important - core. Reviews - which are mandatory in both directions - give users the confidence to book. 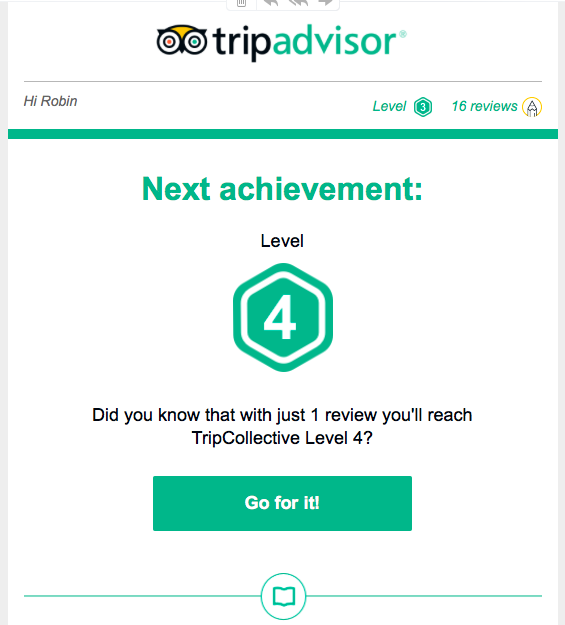 You might find reviews for a hotel on TripAdvisor or Booking.com useful, but only about one in a thousand guests leaves one on those platforms. On AirBnB it's well-nigh 100%. Reviews give hosts the confidence to accept bookings, knowing they will be able to see previous hosts' experience with the guests. Without these two - core - functions, it is likely that AirBnB would still be two guys and a dog sleeping on air-mattresses in San Francisco. So: lessons for other businesses? Make reviews as 'mandatory' as you possibly can. There are many ways of doing this without alienating customers. 1. Explain, right at the beginning of the transaction, that it is company policy to ask all customers for a review once the transaction is complete. 2. 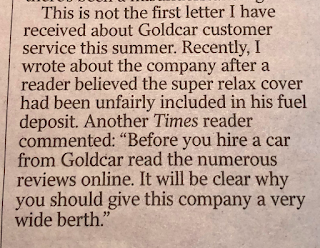 Explain, also, that this is entirely at the customer's discretion, but emphasise just how helpful such reviews are for a) future customers and b) the business and all its staff. 3. Discuss the way the customer found you - if that included reading reviews (or personal recommendation) then you will be half way to getting a review. This button - 'Leave A Review' - is prominently displayed next to all of our clients' reviews. 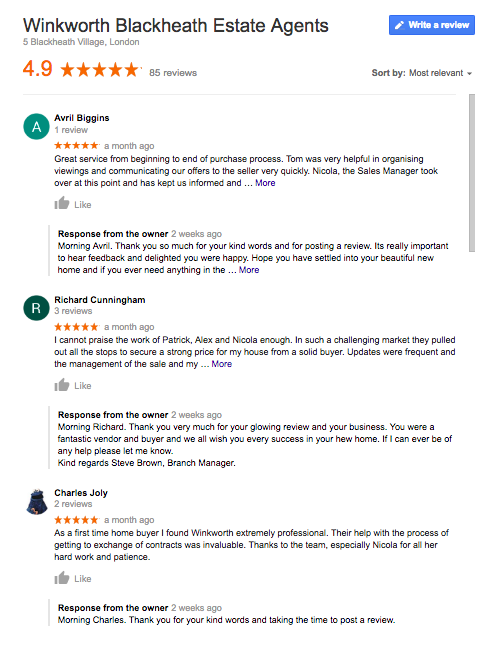 Alongside the reviews themselves it provides crucial reassurance to anyone reading them that any customer can leave a review at any time. And consumers love transparent businesses. 4. 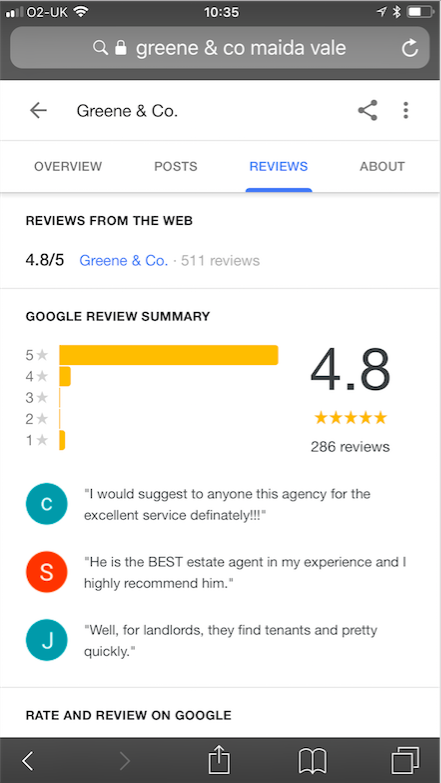 Explain that any customer can - at any time - go to your website and write a review. This is one of the most popular aspects of review management with consumers - because it reassures them that the business is obliged to accept every customer's opinion. Do you have 100 reviews - independently verified - on your own website? If not, why not? 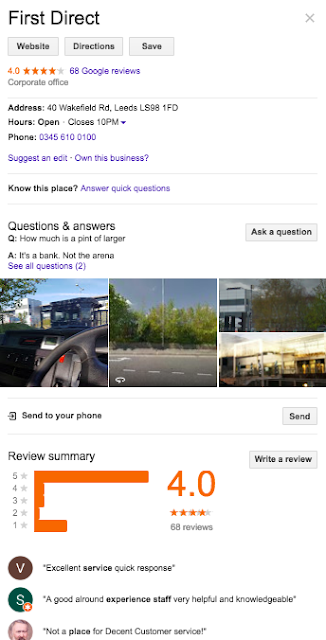 Do you have at least 50 reviews on Google? If not, why not? 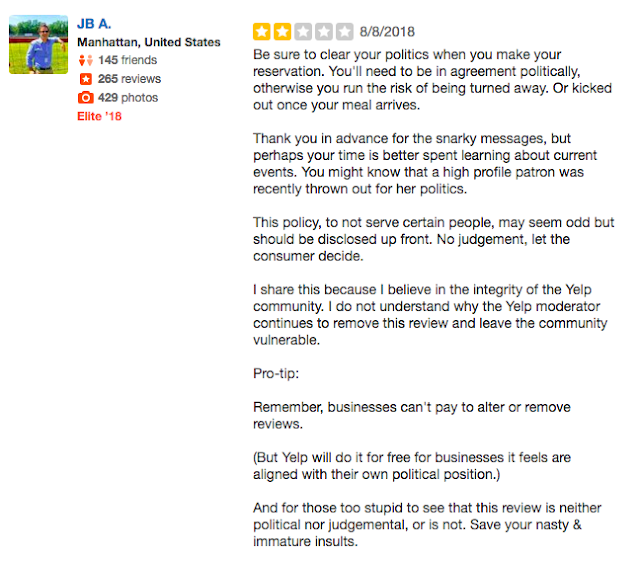 If you do have reviews, were those reviews acquired compliantly? Or did you just invite selected customers to write them (that's illegal, by the way)? These may look a tad harsh, but, as we all know, the business world is harsh. 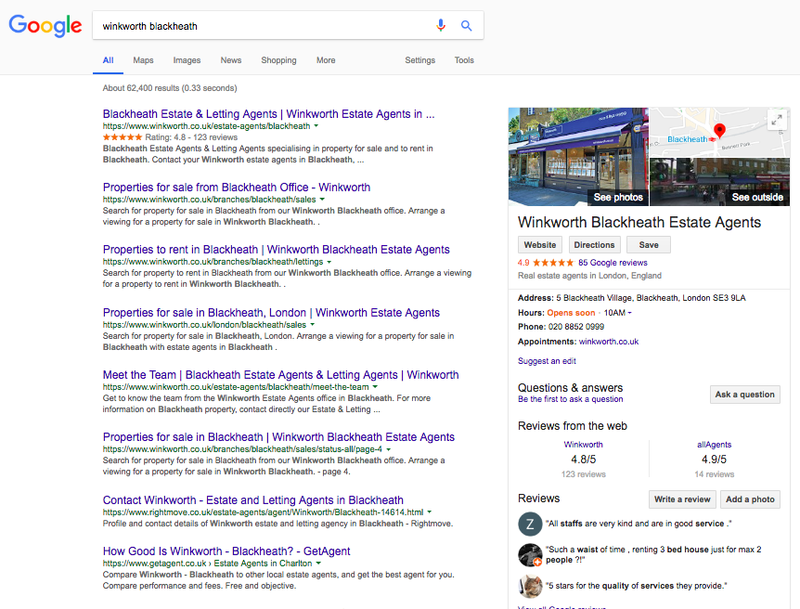 As professional review managers of many years' standing we know why so many businesses are unable to answer 'yes' to these questions - because they are, understandably, concerned that they will attract misleading or factually inaccurate reviews. 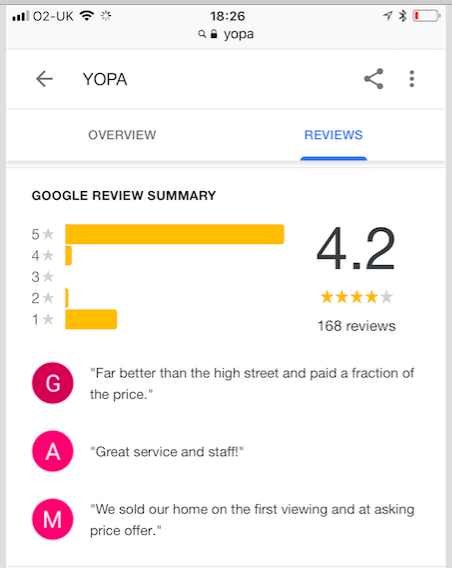 ...and this was a business with two reviews on Google when they joined! HelpHound is here to give businesses like yours the confidence to engage with reviews. 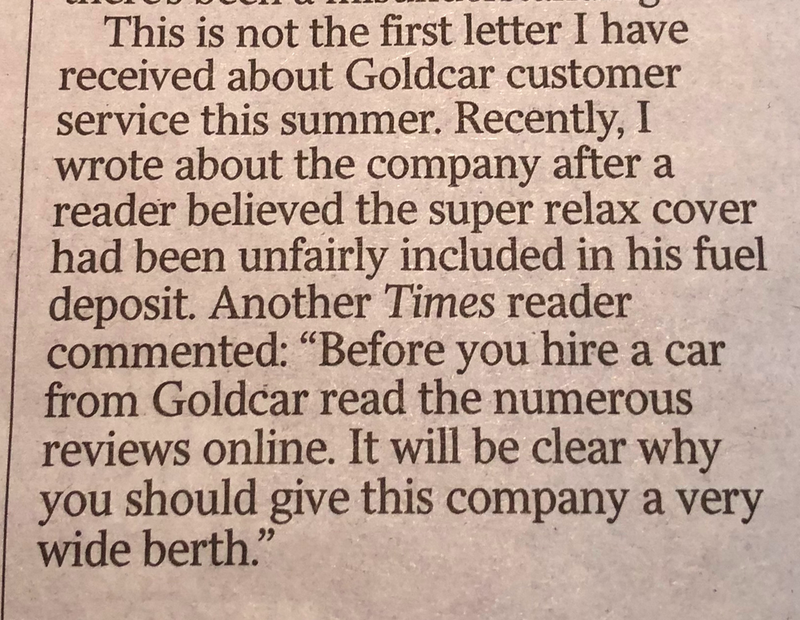 Today the Times ran a hardy perennial in their weekly Troubleshooter column - holiday car hire. This is just one more instance where reviews can save consumers heartache and cash. It also highlights a massive opportunity for a well-run business in the sector. And the company even responds to its customers! For individuals - is 'read reviews'. For businesses - is 'look great - or else'. Or else what? 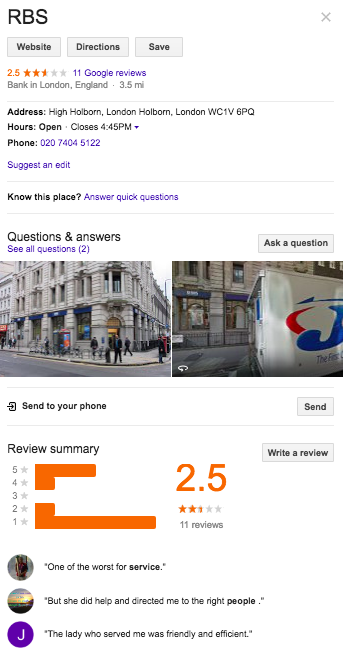 Or else consumers will - increasingly - read your Google reviews* and use a competitor. Need to consult a reviews site? Of course not. *Google reviews? 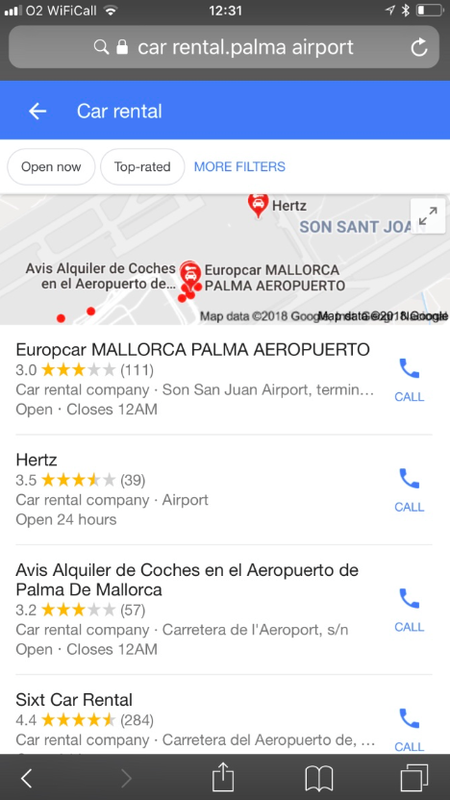 Why not Rentalcars.com or TripAdvisor? 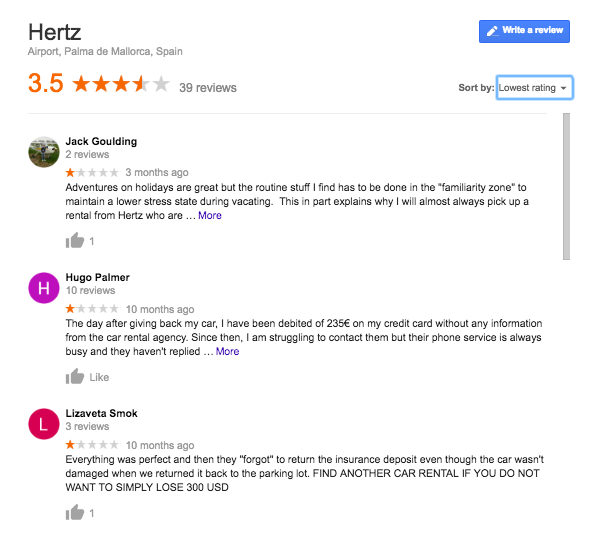 For one simple reason - when anyone searches for car rental the first reviews - and these days probably the only reviews - they see are Google reviews. 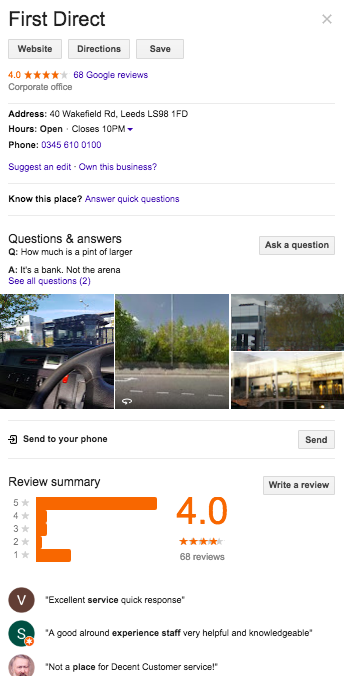 First, the reach of this review - of a SME business in London - has been pretty astounding, at over 1,000 views. Second: it has made that kind of impact over such a short space of time - the review was written on 22 May, under three months ago. In other words: (negative) reviews get seen! What action should a business in this position take? Assuming this business, like most businesses, is good at what it does (but occasionally makes mistakes - enough to provoke a customer into posting a negative review about once every six months): It should be proactively engaging its customers by inviting them to post reviews. Suppose a business has a footfall of a hundred customers a day, if only one per cent - just one customer - writes a review, then that's thirty reviews a month (three a day? That's still three reviews a month - 36 a year). 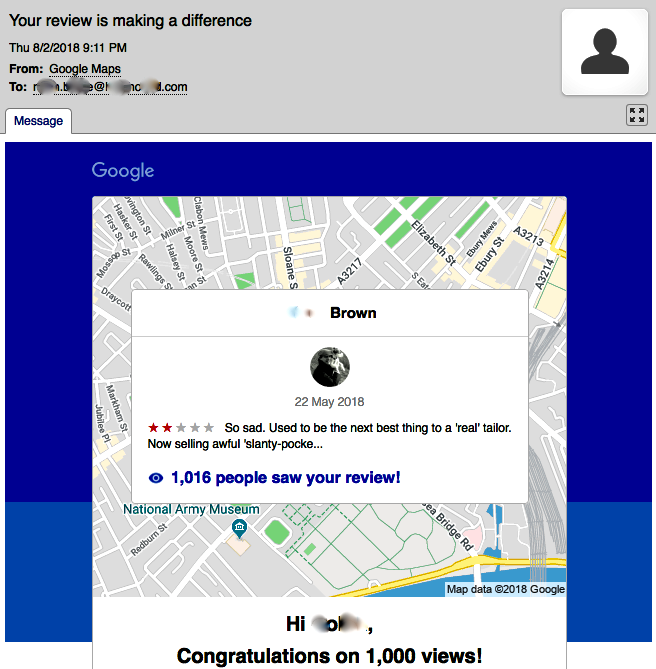 How to get the customers to write a review? Which will then show in increased business! 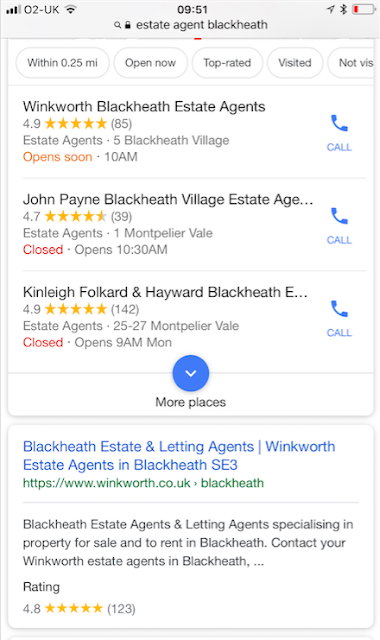 Many businesses don't engage with Google reviews because they are concerned - quite understandably - that they will attract unfair or inaccurate reviews, and that those reviews will have the exact opposite of the desired effect (which is, of course, to attract more customers). Greene & Co - the business in the screenshot with 286 Google reviews - were no exception. 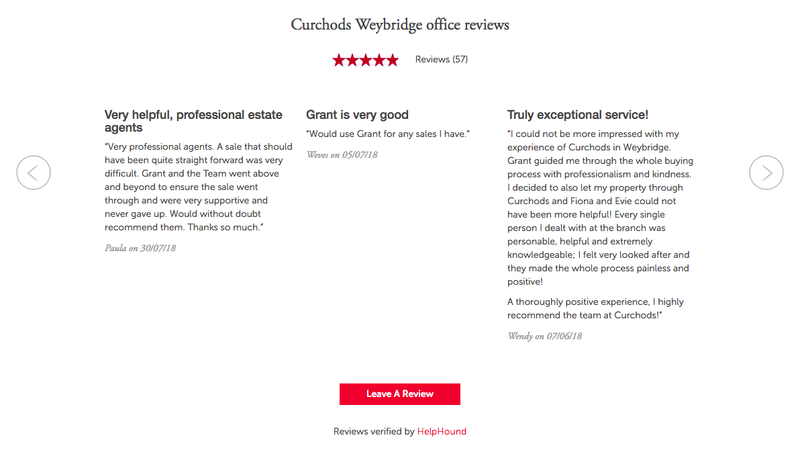 HelpHound exists, at least in part, to ensure that its clients' reviews accurately reflect their businesses. We cannot guarantee that a HelpHound client will not get any negative reviews - no business is perfect, after all - but we can reassure you that having your business's reviews moderated by HelpHound pre-publication will reduce the chances of an unfair or misleading review appearing in print to as near to nil as will make for confidence in embarking on this important journey. Here's an article that goes into this important part of our service in greater detail. 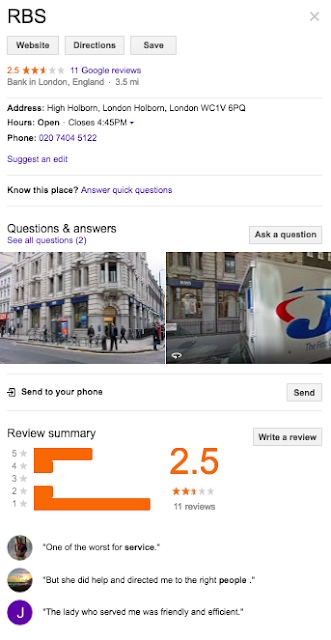 And here's one that shows you that professional review management drives more business (the numbers are from Google itself). 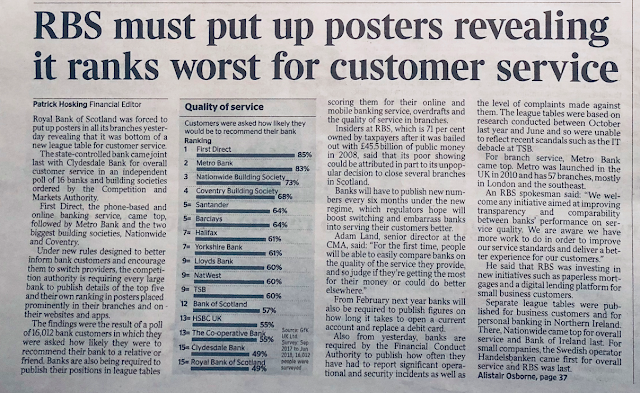 Oh - and please bear in mind that if a business invites reviews it is subject to the CMA regulations, and they have the force of law (they say a business must allow all its customers to write a review at a time of their - the customer's - own choosing). Here is an article that explains these rules.